Photographs have emerged of Sala's pet dog, Nala, apparently mourning his owner at the funeral in Progreso, Argentina. The faithful black labrador can be seen waiting outside the funeral home for Sala's coffin. Nala joined thousands of mourners, including Cardiff City manager Neil Warnock, at the funeral on Sunday, 16 February. ​The photographs were posted on social media by Sala's sister Romina. Sala, 28, had just signed for English Premier League side Cardiff in a record-breaking £15million move from French club Nantes when his plane ditched in the Channel. The wreckage was later located on the seafloor and his body was rescued and returned to his grieving family in Argentina. It has now emerged that Nala was part of the reason Sala was on the plane in the first place. ​He had returned to Nantes to check on Nala, who he had put into kennels while he went to Wales to sort out the paperwork and take his medical. 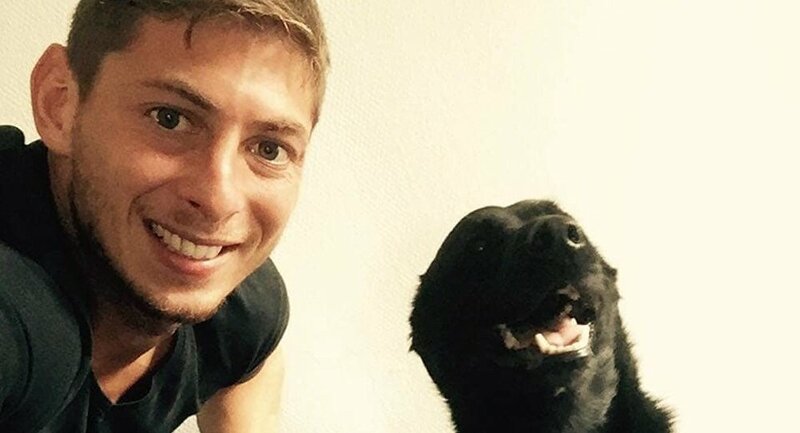 Sala was returning to France to arrange the dog's move to Cardiff, as well as to say goodbye to his team-mates. The Argentinian reportedly bought Nala in 2015 to keep his company when he arrived in France and he often posted pictures of the pair walking on the beach together near Nantes. ​Romina said she was now planning on adopting her brother's dog. Cardiff play Watford on Friday, 22 February, in their first match since Sala's funeral.